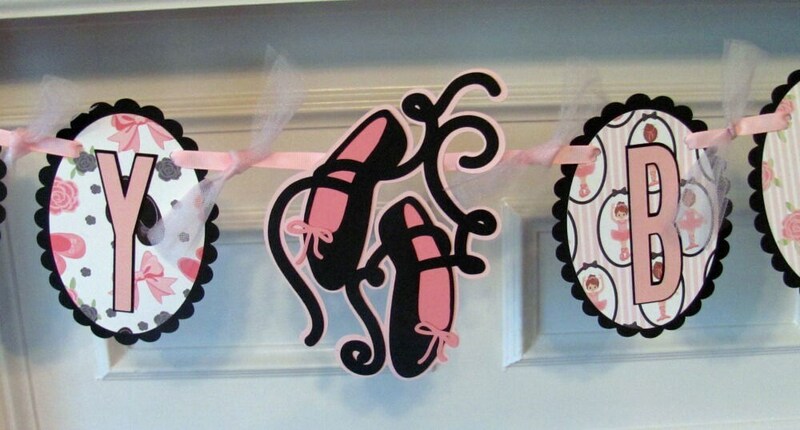 Adorable pink and black ballet themed birthday banner. Pretty scalloped oval frames done in 2 layers, black scalloped ovals with adorable ballet themed designer paper. Letters are done in pink with black shadowing and are raised to give a 2D effect. Banner is strung with pink grosgrain ribbon and pink tulle. An ornate pair of ballet slippers act as word separator. 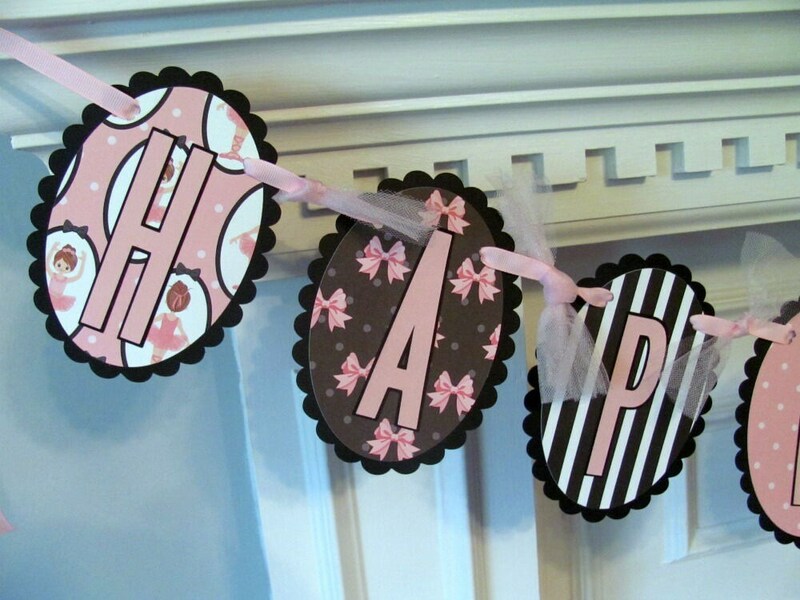 You may personalize this order with a 2nd banner featuring the birthday girl's name for $10. Please allow 7-10 days for order processing. Banners are shipped via US Priority Mail and tracking will be provided.